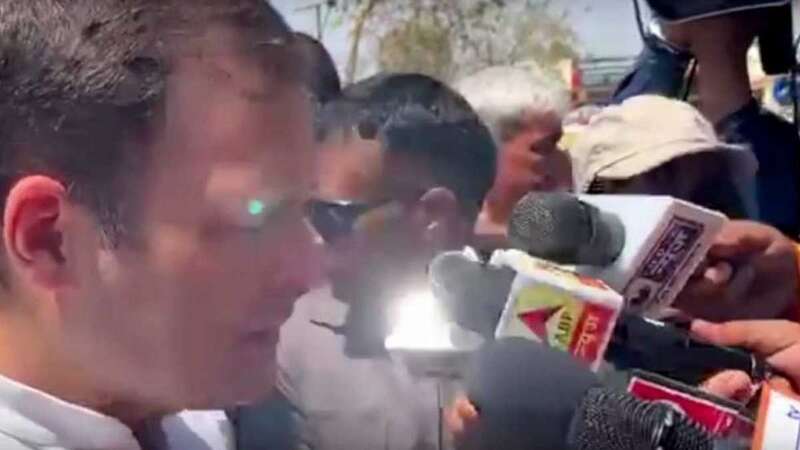 New Delhi : Reacting to a complaint filed by Congress, the Centre on Thursday said that a green light on Rahul Gandhi's forehead during media interaction in Amethi was from mobile and not from a sniper gun. In a letter to MHA, the Congress leaders had expressed concerns over the breach of security, saying it is unacceptable. The party also attached a video clip of the incident with the letter, claiming that “a laser (green) was pointed at his head, intermittently on at least 7 separate occasions in a short period”. The Home Ministry said it hadn’t received a copy of the letter sent by the Congress leaders but had asked the Special Protection Group - the elite team of commandos mandated to guard Prime Minister, ex-PMs and their immediate family – to “verify the factual position”. “The ‘green light’ shown in the clipping was found to be that of a mobile phone used by the AICC photographer, who was videographing the impromptu press interaction of Shri Rahul Gandhi near the collectorate at Amethi,” the Home Ministry spokesperson said, citing a report received from the SPG chief. “The SPG director has confirmed that there was no security implication whatsoever,” the spokesperson said. The same has been conveyed to the Rahul Gandhi's office too.